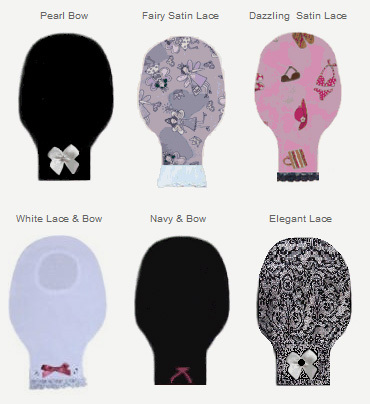 The Trendy pouch cover comes accented with lace, bows, rhinestones or other accents upon request. The Trendy pouch cover assists in eliminating moisture and heat associated with wearing an ostomy appliance. The body side of the cover is designed to “wick” moisture away from the body and are color coordinated with a decorative front side. A variety of designs are available for the Trendy pouch cover and custom designs are available upon request.